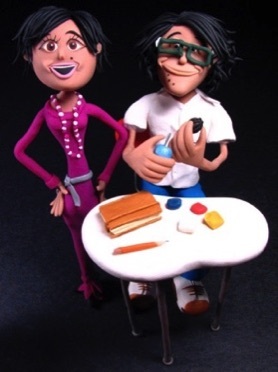 Jorge Cruz is an award-winning Colombian artist and architect, praised worldwide for his intricate clay modeling, stop-motion clay animation and Sugar Art. 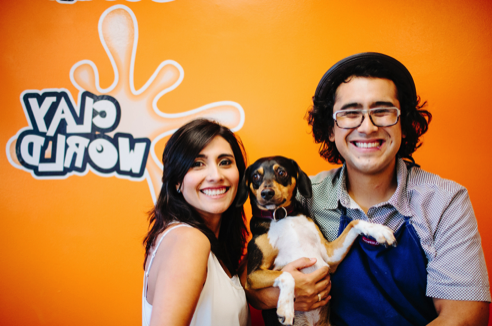 He also is the founder along with his wife Johanna Morales of Clay World and Cake World in Miami Beach and New York City. Clay World and Cake World focuses on developing and improving children’s fine motor skills, artistic capabilities, and creative expressiveness through exploring the art of clay modeling clay animation and sugar art. Jorge specializes in meticulously hand crafted figures and is lauded for the spectacular detail in each and every piece he creates. He has an extraordinary ability to express his thoughts with his hands, giving his sophisticated, imaginative and richly colored clay and sugar renditions a unique quality and sensibility that cannot be matched by any machine. Jorge was born a true artist and spent his childhood cultivating his creativity and innate talent. At six-years-old, he began studying clay modeling under the guidance of the renowned artist, Edgar Humberto Alvarez. He then attended the prestigious arts academy in Bogota, Plastilina Creativa Academy, on a scholarship. Jorge was selected by the Mayors office of Bogota to teach clay-modeling workshops as part of a special outreach program to help bring art into the lives of children throughout the city. Jorge attended the Universidad de los Andes in Bogota and the University of Texas, where he graduated with a Bachelor’s Degree in Architecture and Fine Arts. Jorge has a large and loyal following across the globe. His figures and stop-motion clay animation are featured in numerous commercials, feature films and national print publications. His clay sculptures are commissioned by private clients worldwide. Jorge currently lives between Miami Beach and New York City, where he teaches his beautiful art.